According to the official data from Beijing, the world's second-largest economy grew 6.9 percent in 2015 against 7.3 percent in 2014. This is the worst result for China since 1990. “The preliminary data says the Gross Domestic Product of China amounted to 67.67 trillion yuan in 2015 (about $10.3 trillion), which is 6.9 percent more than last year. In particular, the annual GDP growth in the first quarter amounted to seven percent, in the second – seven percent, in the third - 6.9 percent and 6.8 percent in the fourth,” said a report from the National Bureau of Statistics. The fourth quarter saw the weakest pace of expansion since the first quarter of 2009, when growth tumbled to 6.2 percent. However, China’s overall results were still considered good by some economists despite Beijing's failure to reach its goal of seven percent growth. "This is a good number," Jahangir Aziz, head of emerging Asia economic research at JPMorgan, told CNBC. "We've known for the last three years that the Chinese authorities are slowing down the economy. This economy is going to slow down," he said. Chinese consumption has grown to 66.4 percent of GDP growth in 2015, compared to 46.3 percent in 2010. 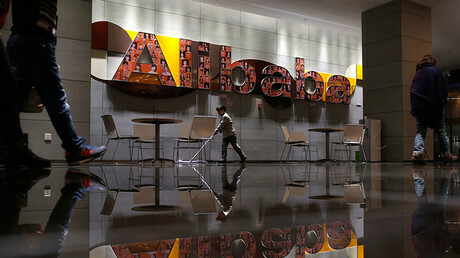 Retail sales have doubled from 15.7 trillion yuan ($2.39 trillion) in 2010 to 30.1 trillion yuan ($4.57 trillion) last year. "Meanwhile, though, consumption continued to expand robustly, supported by solid wage growth. This is supporting light industry and the service sector, where pricing power vastly exceeds that in heavy industry," said Louis Kuijs, head of Asia economics at Oxford Economics. Should you believe China's GDP numbers? However, some experts doubt the data from Beijing. "Chinese statistics are really used to project some sort of perception. We know their statistics are not very accurate. Look at the economy fourth quarter. Electricity became more negative. Housing starts last year were about 14 percent down, so half of the economy is actually negative," Andy Xie, an independent economist, told CNBC before the statistics were released. "The economy is not growing much, possibly not in recession, but certainly not growing at 6-7 percent." 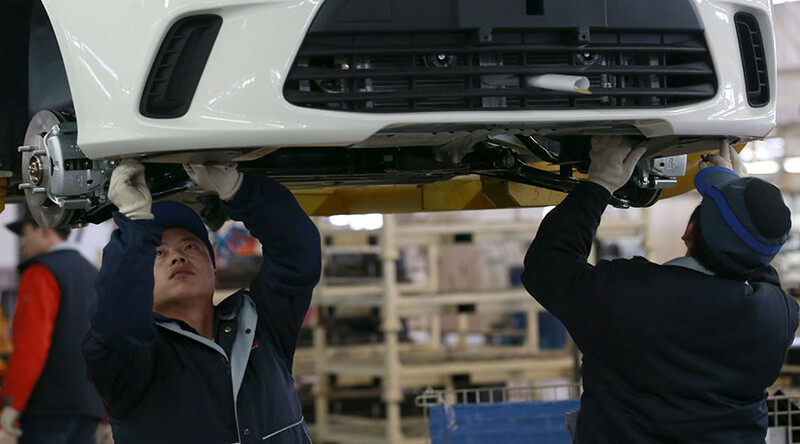 China’s goal for 2016 is 6.5 percent GDP growth.